Nowadays filling up form to sign up in the website is quite old and also boring to the end users for filling up form again and again in several websites. And also we have to validate the form like checking the mail id and phone number or any other details. With this plugin we can let users to sign up to your website with their Facebook or Twitter accounts. So users won’t have to filling up form to sign up your website (or) blog. This is hassle free way to add users for website admins and also for end users it is quick way to sign up for your website. At first, you should have developer account and API keys to work with this plugin. How to create a developer account? We can tell you step by step to create a developer account and obtain API Keys. 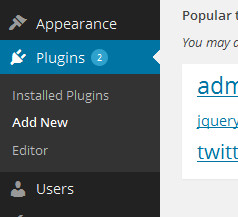 This plugin currently supports Facebook and Twitter for now. So we’ll see how to obtain API keys. You must have an account in both services to create a developer account. First, We’ll see how to create a developer account and obtain keys in facebook. You will be asked to enter your facebook API key (API ID) in this plugin. 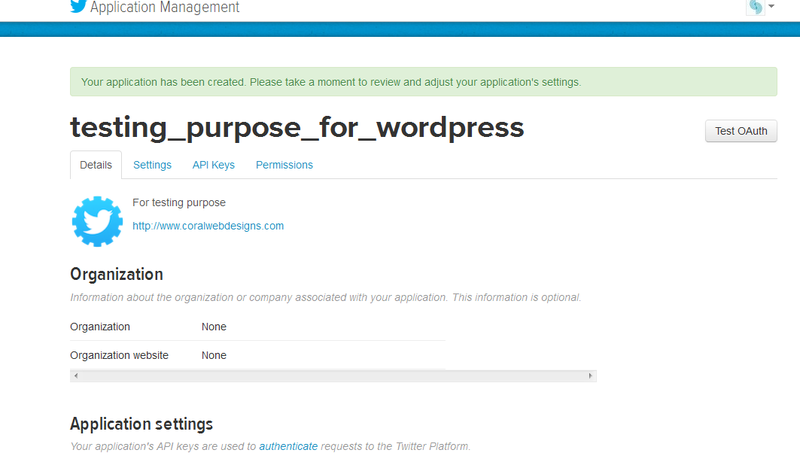 Now, we’ll see how to create a developer account and obtain keys in Twitter. 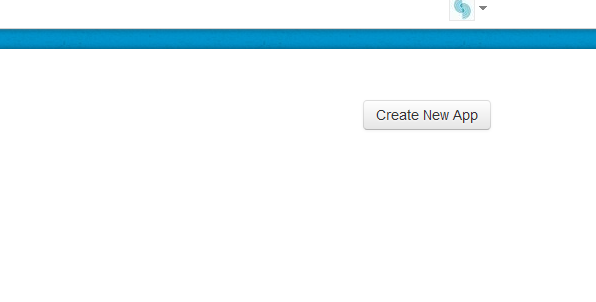 Enter your desired name, description and website of yours (if any) and click create your twitter application. Select API Keys to view your API key, API Secret. You will be asked to Enter API key and API secret in this plugin. Manually download Facebook and Twitter Login zip file fromÂ wordpress plugin repository. 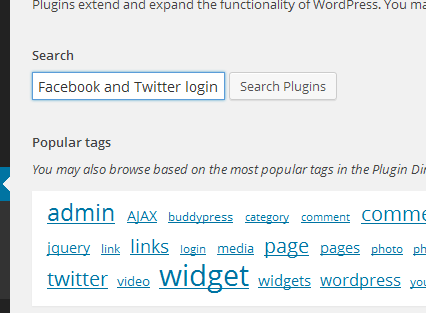 Go to your wordpress dashboard and select plugins and you should see Facebook and Twitter Login plugin. Click Facebook and Twitter Login to get started. 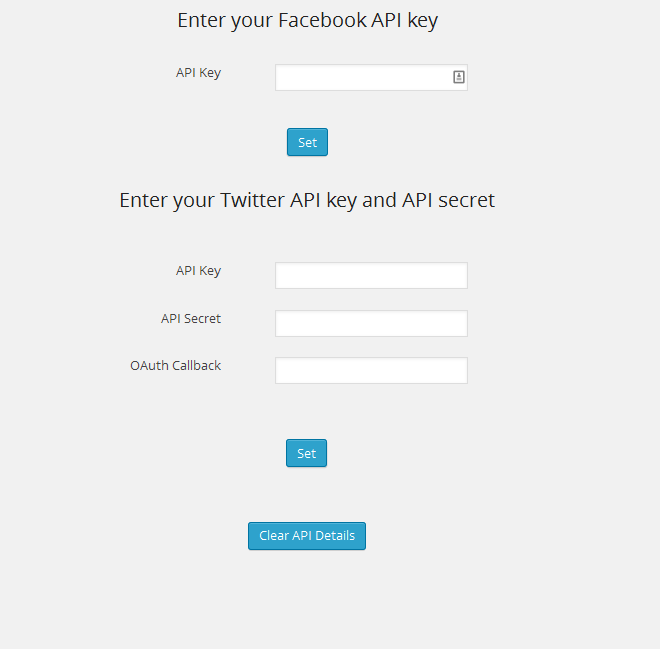 You have to enter your facebook API Key and twitter API Key, API Secret, OAuth callback and click set. If you logout from your account. You should see signin with twitter and signin with facebook as shown in the picture below. ( Note ) These twitter and facebook signin options in wordpress login page will only visible after you set twitter and facebook API Details. 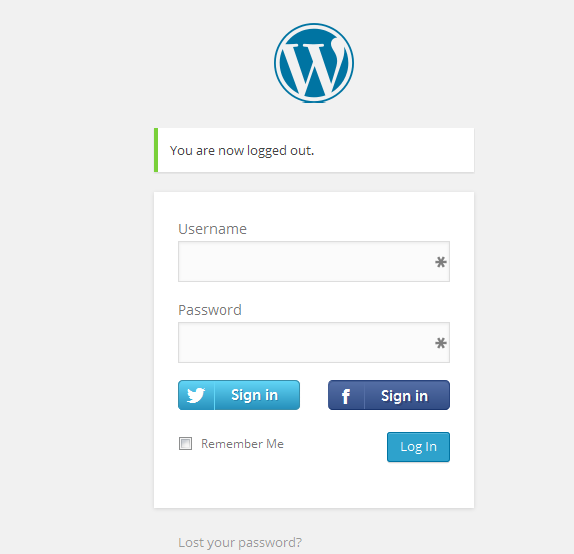 With these shortcodes you can place twitter and facebook logins anywhere you want in your website (or) blog. 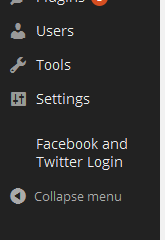 You can add facebook or twitter login option widgets in any page. We’ve created facebook and twitter login option widgets to give you that functionality.